MKV to GIF Converter Software converts MKV files to GIF in batch. GIF is playable in any web browsers. 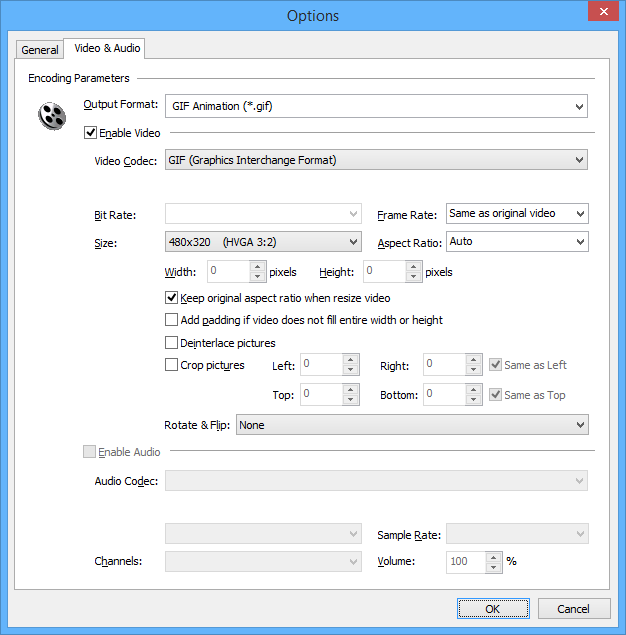 So you can put MKV video on your website or blog by converting MKV to GIF. MKV to GIF Converter Software is an all-in-one video and audio converter. The software also supports common file format such as MPEG, ASF, VOB, TS, DVD Video, etc. It could convert 3G2 to OGM, 3G2 to TS, MOV to H.264 AVC, OGV to TS, ASF to H.265 HEVC, and so on. MKV to GIF Converter Software supports batch conversion that enables you convert bulk MKV files to GIF at a time. The software is fully compatible with 32-bit and 64-bit Windows 10/8/7/Vista/XP/2000. A MKV (Matroska video) file is a video file, similar to AVI and MP4 files, but unlike these multimedia formats, the MKV format is an open source container format. Files are store in .MKV file extensions. The following media players have been tested and proved by Matroska to support MKV files: ALShow, Avidemux, BS Player, Chameleo, The Core Media Player, Core Player Mobile, The Core Pocket Media Player, foobar2000, GOM Player, Gstreamer-based Players, Handbrake, jetAudio, Kaffeine, The KMPlayer, Media Player Classic, Media Player Classic - Home Cinema, MediaPortal, Mezzmo Media Player, MPlayer, MythTV, Perian Quicktime Plugin for Mac OS X, Target Longlife Media Player, Totem Movie Player, VirtualDubMod, VLC media player, VSO, Vuze Media Player, Windows Media Player 11, xine, Zoom Player, plexapp, and XBMC. MKV founder Steve Lhomme left the project after disagreeing with the MCF project leader Lasse Karkkainen regarding using the Extensible Binary Metal Language (EBML) over another format. The Matroska developers are also continually working along with hardware producers to include MKV support in multimedia software typically included with new computers and support in a variety of operating systems. EBML enables the Matroska Development Team to gain significant advantages in terms of future format extensibility, without breaking file support in old parsers. The aim of developing Matroska was to provide a flexible and cross-platform alternative to AVI, ASF, MP4, MPG, MOV, and RM. Matroska is rapidly gaining ground as a popular video format mainly because of its advanced features. MKV files have a huge potential to becoming more widely used than the popular AVI and MP4 files. GIF, or Graphic Interchange Format, is a file extension for an often animated raster graphics file and is the second most common image format used on the World Wide Web after JPEG. GIF uses the LZW compression algorithm and is owned by Unisys. Though Unisys licensing statement indicates a license is required to use GIF files, in practice they have not required it and many downloaders and website builders remain ignorant to the required license and GIF's proposed patent-free replacement in PNG. A GIF image can contain 2, 4, 8, 16, 32, 64, 128 or 256 colors which are stored in a color palette or color lookup table within the image file. Each color in the GIF color table is described in RGB values, with each value having a range of 0 to 255. CMYK colors are not possible in GIF. Although the GIF format has access to over 16.8 million colors, only a maximum of 256 can be referenced within a single GIF image. While this limited palette keeps down file size and is perfectly acceptable for on-screen viewing, it leads to posterized images when they are printed. Most preflighting tools like PitStop can generate a warning when they encounter images with a fixed color palette. A small color table may suffice for small images, and keeping the color table small allows the file to be downloaded faster. Both the 87a and 89a specifications allow color tables of 2n colors for any n from 1 through 8. Most graphics applications will read and display GIF images with any of these table sizes; but some do not support all sizes when creating images. Tables of 2, 16, and 256 colors are widely supported. GIF images can also be animated and saved as "animated GIFs," which are often used to display basic animations on websites. They may also include transparent pixels, which allow them to blend with different color backgrounds. However, pixels in a GIF image must be either fully transparent or fully opaque, so the transparency cannot be faded like a .PNG image. 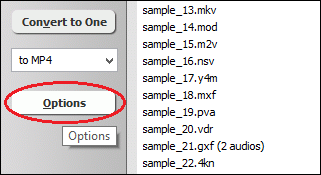 Click "Add Files" to choose MKV files and then add them to conversion queue. If you just want to convert a part of MKV, please switch to tab "General", and then set beginning and end position. 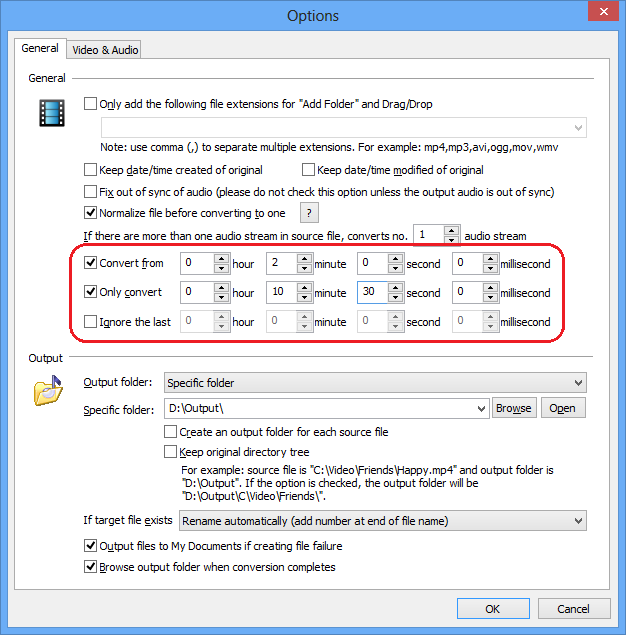 Click on "Convert" to convert MKV files to GIF animation; alternatively, click on "Convert to One" to convert all files in list and combine to a single one GIF file. The software is converting MKV files to GIF format. MKV to GIF Converter Software offers free trial for evaluating the software. If you're looking for a freeware, please remember a lot of freeware is not professinal. And some freeware bundles with adware or malware that might harm your system. MKV to GIF Converter Software is 100% clean and safe to install. It's certified by major download sites.